A guide for first time car buyers. The decision to buy a car has become a more complex and involved process. The buyer today faces not only an abundance of models to choose from, but also stringent federal and state regulations governing dealerships. Consumers also find the Internet deluged with resource tools, so getting to that final choice can be a daunting and even overwhelming task. This booklet has been written for any first time car buyer. We’ve designed it to simplify, clarify, and inform consumers and to help them make that first purchasing experience a positive one. It is our hope that this booklet will educate both the salesperson and the buyer to create a “win-win” transaction for both parties. © 2018, Washington State Auto Dealers Association. www.wsada.org. All information contained in this manual intended to be as up-to-date as possible, however consumers should ALWAYS consult with their own counsel to confirm the information or to answer any questions they may have. What sized car best suits my needs? What type of driving do I do? • Is this a company car or personal car? What are my priorities? How do I rank them? How long do I plan to keep this vehicle? How much do I plan to spend? Creating a checklist like this can help you narrow down your list down to the best options. Unless you’re able to focus your needs, shopping for a new car can quickly become a case of information overload. Paying attention to these areas will help you limit the possibility of disappointment or frustration. Buying a car that doesn’t suit your needs very well (e.g., it doesn’t fit your family, consumes more gas than you expected, or has higher payments than expected) may cause you to sell or trade-in too early and set you up for big losses down the road. Buying a car with a poor resale value can also mean making car payments for years only to sell or trade it in when you have little or no equity; or worse, still owe more than it’s worth. Thinking about your current car can also help you make choices about your next vehicle purchase. What do you like or dislike about it? What life changes have occurred or may soon occur that may change your needs? It’s important to understand these factors before you go out and buy a car because they will play a huge part in your life later on down the road. The internet can be an excellent resource for car buyers. There are many credible websites to assist you with car information, finance, safety issues, comparisons, e-opinions and statistical analyses. There are even resources that allow you to obtain a specific vehicle’s maintenance history. Understanding your needs and knowing where to find the right information is the first step towards making an intelligent buying decision. Cars on the street that “catch your eye” can certainly be a beginning. If particular a car catches your eye, consider asking the owner about their buying experience and where they bought it, as well as questions about the car itself. Many people love talking about their cars and can serve as great first-hand resources. Understanding all of the variables that go into making a wise decision will pay off long after you leave the dealership. A major consideration when deciding between a used and new vehicle is cost. Although a used vehicle may require more frequent repairs, they are often cheaper to operate and insure. Most vehicles depreciate in value the most during their first three years, and so the price point of a used vehicle can be more economical and attractive. Does a dealer have to perform a safety check before selling that vehicle? Generally, tires should have a minimum tread depth of 2/32 of an inch, no bulges, bumps or exposed cord or lining. Another cost is insurance — used vehicles costs less to insure than a new one. Banks require both liability and comprehensive insurance coverage when they finance a car contract, but usually have significantly lower insurance requirements for used cars. This will be discussed in greater detail in the Insurance section. The importance of your new car’s rate of depreciation is tied to how long you expect to own the car. If you tend to hold on to cars for longer than 5 years, depreciation is less of a factor. A car’s greatest depreciation occurs during its first three to four years, averaging a decline of 15-25% per year. On average, a new car will lose 60% of its total value over the first five years of its life. Traditionally, limited editions, luxury and exotic cars tend to hold their resale value a little better than others. Also, cars with higher trim levels usually retain a greater value than those with lower trim levels. “Trim level” is the designation a vehicle manufacturer uses to represent specific equipment packages. Cars with more safety features, high reliability ratings and neutral colors also tend to retain their value better than others. The resale value of a car can be enhanced by understanding how to maintain the investment of your new car. Simple tasks like washing and waxing your car regularly not only keep it looking great, but inhibit paint deterioration and oxidation. Keeping up to date with the manufacturer’s guidelines for service also protects your investment. Taking steps to maintain your car properly is crucial; if neglected, the potential breakdown and reconditioning costs can far outweigh maintenance costs. There’s another great reason to properly maintain your car: a manufacturer may reject warranty repairs if the owner has failed to comply with the warranty’s maintenance requirements. If an owner cannot show that the car has been properly maintained when a problem occurs, it may deny coverage. If you have purchased a used car, service and maintenance history can often be obtained from a dealership representing that manufacturer. Additional sources for obtaining a vehicle’s history are CarFax.com and Consumer Guide Vehicle History, (auto.consumerguide.com). For a fee, they research any vehicle’s major history when you provide them with the car’s VIN (Vehicle Identification Number). You will also need to decide whether to lease or purchase. A lease finances the use of a car for a period of time, but it is not a purchase of the car. Each has its own pros and cons depending on your needs, so you examine your situation before deciding which is most appropriate for you. The most common type of vehicle financing is dealership financing. In this arrangement, a buyer and a dealership enter into a contract where the buyer agrees to an installment contract, under which the buyer will pay for the vehicle and an agreed-upon finance charge in installments. The dealership may retain the contract, but usually sells it to a third party (such as a bank, finance company or credit union), which services the account and collects the payments. For more information, see the “Finance” Section below. Convenience – Buyers can obtain vehicles and financing in one place. Multiple financing relationships – The dealership’s relationships with a variety of banks and finance companies mean they can offer buyers a range of financing options. Special programs – Dealerships may offer manufacturer-sponsored finance specials to buyers. Q: Is having a new vehicle every two or three years with no major repair risks more important than long-term cost? A: If so, then leasing may be the better choice. Q: Is long term cost savings more important than lower monthly payments? Is ownership more important than lower up-front costs? A: If so, purchasing the vehicle may be the better choice. The decision whether to buy or to lease a car is not always an easy one. There are some facts you first need to know. When you buy a car you pay the entire cost of the vehicle, regardless of how many miles you drive. You will typically need to make a down payment, pay sales tax and the licensing fees in cash — or roll those expenses into your installment contract – and pay an interest rate or finance charge on the purchase price. Your payments usually start 30 to 45 days after you sign your contract, and most contracts can be paid off at any point without penalty. When you lease a car, you pay for only a portion of the vehicle’s cost – you pay for the portion that you “use” during the term of the lease. State sales tax applies to leases, and is calculated on the monthly payment rather than the total price of the car. Basically, lease finance rates are calculated by a money factor, which is similar to the interest rate on a loan, though the calculation is a bit more complex. Monthly lease payments are usually lower than monthly purchase payments, however at the end of a lease you must return the car unless the lease has an option to purchase and you agree to the terms. Consider how long you may want to keep the vehicle. Another important consideration is the mileage limit – most standard leases are calculated based on a specific number of miles, typically 12,000 or fewer per year. You can negotiate a higher mileage limit, but you will have a higher monthly payment since the vehicle will depreciate more during the lease term. If you exceed the mileage limit set in the lease agreement, you’ll probably have to pay additional charges when you return the vehicle. When you lease, you are also responsible for excess wear and damage, and missing equipment, and are required to service the vehicle in accordance with the manufacturer’s recommendations. Finally, you will have to maintain insurance that meets the leasing company’s standards. Be sure to find out the level of coverage required, and what this will add to your overall costs. 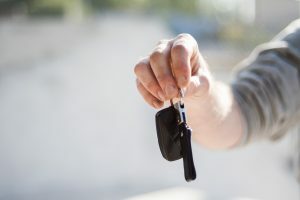 Keep in mind that in most cases, you will be responsible for an early termination charge if you end the lease early, and that charge could be substantial. If you lease a car that costs $30,000, but is worth only $20,000 after 24 months, you pay for the $10,000 difference (this is called depreciation), plus finance charges and fees. Monthly lease payments are essentially two charges: a depreciation charge and a finance charge. The depreciation portion compensates the leasing company for the portion of the vehicle’s value which is lost during the life of your lease. The finance potion is interest on the money which the lease company is using to finance the vehicle. Loan payments also have two parts: the principal charge and the finance charge. The principal pays off the vehicle purchase price, while the finance charge is the interest or the monthly lending fee the institution charges you for the use of their money. All vehicles depreciate in value, regardless of whether they are leased or purchased. Thus, a part of the principle charge of each loan payment can be thought of like a depreciation charge under a lease. It’s money you won’t get back if you sell the car, because the car has already depreciated in value past that amount. The remainder of the principal charge goes toward equity. Equity is essentially resale value. It’s what you would get back if you sold the vehicle. The older a vehicle and the higher the mileage, the lower the resale value and equity you have. Below is a comparison between a typical lease, compared to a 0% loan and a more conventional loan. Remember, monthly payments for leases are lower, but are not the only factor that should influence your decision. Term of Contract 48 mos. 48 mos. 48 mos. Every state varies with different auto insurance requirements. Most states require motorists to show proof that they have liability insurance before they register a car. Other states use an “honor system” that doesn’t ask for proof of insurance. 25/ = ($25,000) Bodily injury liability maximum for one person injured in an accident. 50/ = ($50,000) Bodily injury liability maximum for all injuries in one accident. 10/ = ($10,000) Property damage liability maximum for one accident. Contracts for leased vehicles often require higher insurance coverage. Before you shop, determine how much you are willing to spend on a car. This will depend on a number of factors, including your budget, and the qualities of the vehicle that fits your needs. If the car will be financed, your monthly payment is also important. A dealership can offer “one-stop shopping” to expedite the buying process by helping you find a financial institution to help you buy your car. Remember to also budget for the other costs associated with vehicle ownership like insurance, gas, maintenance and repairs. Although prices are sometimes negotiable, cars are required by law to carry manufacturer suggested retail price (MSRP) stickers. This sticker, also called a Monroney label, is attached to a window of the vehicle. It shows the base price, including all standard equipment; manufacturer-installed options; transportation or freight charges (also known as destination or delivery charges); and the total MSRP. Details about the average gas mileage are also required on all cars and light trucks; this information is usually included on the sticker, but will sometimes be found on a separate sticker called the EPA Fuel Economy Label. The MSRP offers guidance for negotiations, but remember that these are suggested prices. The negotiated final price may be higher or lower, depending on the demand for that particular model. Some popular models sell for more than the MSRP, while others can sell for less. Some dealers may use other stickers that include additional charges, such as dealer-installed options and additional dealer markup. Have a clear understanding of all these charges before negotiations begin. The total cost of a new vehicle is also affected by manufacturer incentives, used by many auto companies today to attract buyers to their showrooms. These incentives include cash-back rebates, low or 0% financing, leasing programs, and option-package discounts. All of these can help you save, but be careful to figure out which one will work the best for you. If you are going to finance a total amount of $20,000, your monthly payment will be about $387 for a 60 months contract at 6% interest. Reducing the term to 4 years (48 months), raises the payment to $470 per month. So you can figure for every $10,000 you spend, it will cost you a little under $200/month for 5 years @ 6%. Finance a car for the shortest period of time you can afford because the longer you are paying, the more interest you will accrue. Trade in a car when you still owe more than the car is actually worth is referred to as being “upside down”, or having “negative equity”. Dealerships can take that negative equity from your trade-in and roll it into your financing on a new car, but be aware that this option is compounding your debt – you still owe the negative equity amount. So now, armed with budget calculations and driving preferences, you are just about ready to go out and have some fun! Be sure before you cover the basics before you get to the fun part – the “active” research – test drives! Once you start test driving, pay attention to things like how a car feels on a test drive and other things that can’t be captured by reading and researching. Dealerships are eager to let you test drive their product. Don’t be afraid to ask questions. If it’s a new car you’re considering, allow a salesperson to do a “walk around” to explain the features and benefits of the car. Feel free to ask the salesperson to accompany you on the test drive – they can help you learn even more about the engineering, instrumentation, safety and performance features first hand. How easy and logically placed are the dashboard instruments? How easily do the doors and windows operate? Look under the hood – do the fluid receptacles have easy access? Can you add oil, wiper, transmission or brake fluid easily? Can you see the where fluid levels are? Make sure it has the room you need – If you’re a golfer, bring your clubs to the dealership and see if they fit comfortably into the trunk! Have the dimensions of your garage or parking space with you and make sure there is enough room to accommodate your new car. Listen to the engine as it changes gears on acceleration and deceleration. Check out the turning radius of the car in an open parking lot by turning the steering wheel as far as you can to the left and see how tight the turn is. Repeat the same process to the right. Check out your peripheral vision. Are there any significant blind spots? The general appearance of the car, the paint, upholstery, trunk, windshield, the engine, tires, muffler, stereo and any after-market alterations. Was the used car locally owned? Drive the car at a slow speed and turn the steering wheel as far as you can to the right and then to the left to listen for a rubbing sound. This is an indication that the CV boots might need replacement. Check to see if you can obtain the vehicle’s history from the dealer. Has the dealership performed an extensive “pre-owned” safety inspection? Is there a warranty available for this car? Is there any part of the factory warranty still available? Is the exterior paint is a different color than inside of the engine compartment, trunk or door interior? When looking across the side of the car, eye level with the door, do you see “orange peel” or small ripples in the paint? This can be a sign that the car has been repainted. If the doors of the hood or trunk tend to stick, or not close or open smoothly, this may indicate that they been replaced due to an accident. If the panel seams are out of alignment, it may mean that the hood is crooked with the fender panels. Are the trunk seams evenly aligned with the fender panels? Are the door seams evenly aligned with the side pillars or neighboring body panels? Consider taking the car to an independent mechanic for a “second opinion” They can help test the engine and other parts. This small investment can help ensure you avoid problems not obvious to the naked eye. In addition, Washington will carry forward brands from other states when a vehicle is titled here. For example, the title for a vehicle that comes into Washington on a California salvage certificate would contain the title brand “CA Salvage” in the comment portion of the title. Certain vehicles that are reported to the Department of Licensing as destroyed, repaired, and subsequently inspected by the Washington State Patrol, will have a “rebuilt” brand added to the Washington title/certificate of ownership. This means that your vehicle was damaged and subsequently rebuilt. Consider having it checked by a competent mechanic to ensure the vehicle’s safety and roadworthiness. In addition, you should be aware that vehicles with branded titles are typically worth significantly less than comparable vehicles without branded titles. Choosing the right dealership is as important as choosing the right car – it’s important that you feel confident and comfortable. Ask a salesperson for a tour of their facilities. Check out the service and parts departments. The dealership should be a clean and organized facility. Meeting the service manager and asking key questions can oftentimes provide a deeper understanding about the car you’re considering. Are parts generally in stock? If not, where are they ordered from and how long does it take? Do they provide a shuttle or loaners? A ride to work or a loaner car can make a big difference when your car is in the shop. Is their service department open on weekends or evenings? You want dependable service where and when you need it. Most manufacturers rate dealers by the percentage of satisfied customers. This is generally known as a Customer Satisfaction Index, or CSI. Ask your salesperson to show you information about the dealership’s CSI. Buying a car should never be a hostile experience. Today’s franchised auto dealers greatly value repeat and referral business, and the only way to achieve that is through honest, reputable business practices and long-term customer satisfaction. Customer satisfaction also depends on intelligent, informed purchase decisions based on personal needs, lifestyle and financial capacity. Reputable dealers employ well-trained sales professionals and service technicians who are able to meet the needs of today’s informed customers. Salespeople should listen equally to their male and female customers and help you select a car that best fits your wants and needs. Rudeness or poor product knowledge need not be tolerated. Also try contacting your local Better Business Bureau to find out more about a dealership. Excessive complaints are a red flag. The company should be stable and well established in the community. The relationship between you and the dealership doesn’t end when the handshake is made for the deal; it is just the beginning, and hopefully it will be a positive and satisfying partnership for a long time. There are strict laws in Washington protecting consumers against misleading advertising. Washington State Auto Dealers Association (WSADA) encourages new car and truck dealers to embrace a code of ethics and to adhere to Washington advertising law. • Operate the business in accord with the highest standards of ethical conduct. • Treat each customer in a fair, open, and honest manner, and fully comply with all laws that prohibit discrimination. • Represent our products clearly and factually, standing fully behind warranties, direct and implied, and in all other ways justifying the customer’s respect and confidence. • Advertise our products in a positive, factual, and informative manner. • Meet transportation needs of our customers in a knowledgeable and professional manner. • Detail charges to assist our customers in understanding repair work and provide written estimates of any service work to be performed, upon request, or as required by law. • Resolve customer concerns promptly and courteously. Read the fine print carefully. If an advertisement offers a particular model at a terrific price, make sure the price includes freight and any additional dealer markup or options — tax, license and title charges are generally not included. Ads that guarantee large trade-in allowances or very low interest rates are good deals only if the price of the underlying vehicle is fair to begin with. If a dealer is reluctant to sell you a vehicle at the advertised sale price and terms, find another dealer. Sticker price, invoice price, factory-to-customer incentive, factory-to-dealer incentive, rebates, 0% financing, and “holdback” all are terms that can affect your vehicle’s price. There is much more to dealer cost than just dealing with the invoice, and you need to know all of the costs if you want to find the best deal. The factory invoice is the amount actually billed to the dealer for the car. The dealer pays invoice, less holdback. Holdback is a form of compensation to the dealer from the manufacturer for advertising and other expenses. The exact amount will often be printed on the factory invoice. A car’s factory invoice can be obtained from most dealerships, libraries, the internet, consumer guide books and other sources, making finding the true cost much easier. Factory-to-dealer incentives often carry the biggest reduction and are usually time sensitive. They can change frequently. Dealers compute invoice by deducting out holdbacks, optional advertising fees, mandatory advertising fees and manufacturer incentives must be deducted to show the actual cost, although mandatory advertising fees can be included. Focus on what can and cannot be included in the deal. The MSRP is also referred to as the sticker price. This may or may not include extras and options. Check every line item carefully to see what is being quoted. The sticker price can be negotiated to one that is fair and acceptable to both you and the dealership. Shop smart. Always compare quality as well as price. Be aware of simple tactics. For instance, if the dealership has an overabundance of red cars in your model, you have a better chance of getting a lower price if you buy a red car. A car that is very popular will yield the highest price. You may get a better price once the popularity of certain model you’re interested in declines or, if there is that vehicle is overstocked on the lot. in one last deal. Others feel that the beginning of the month works best because the dealership wants a fast start on their sales. None of these factors are specifically relevant to your purchase – a dealership is always ready to sell you a car. Search all resources for true costs, and available rebates and incentives. Be up front and ask the dealer to explain all additional costs, such as taxes, handling fees, loan fees, documentation fees, and destination fees. Ask the dealer if there are any other incentives or rebates available. Check advertisements for the car you want. Often large dealers will advertise cars at just over dealer cost to generate traffic. Search all resources for true costs, rebates and incentives offered on your car of choice. It is critical to know the value of your trade-in and the amount you still owe on it. The equity that you have in your trade-in gives you leverage in your purchase. Also, Washington offers a sales tax incentive to those who trade in a car. You pay sales tax only on the difference between your trade-in value and the price of your new car. This can cover some of the money you would have gotten if you sold the vehicle yourself. So what is your car worth? Check a current edition of the NADA (National Automobile Dealers Association) Used Car Guide or Kelley Blue Book for your region. Vehicle values can be very different from region to region. These publications can be found at a library, bookstore or on the Internet. Make sure that you use a current issue, since values can vary by hundreds of dollars from one month to the next. It is also important that you use this guide properly. (Add or subtract for mileage, etc.). Finally, remember that the book is only a guide, not the law. The automobile market can be a volatile one, and a number of factors can affect the value of your car. Some cars are notoriously ‘soft’ which means they often bring less than book value while other cars are ‘strong’ and usually bring book value or more. If you want to fine tune your figure, compare the book value to what similar cars are selling for in your area. Remember though, the asking price isn’t necessarily the selling price. Once you calculate the ACV, deduct any balance that you may still owe on the car. Call your bank and get an accurate 10 day payoff amount. The amount left over is your equity, and the amount you can apply to a purchase. What if you have negative equity? If you find yourself “upside-down,” owing more than your car is worth, don’t panic. This is more common than you might think! You might consider selling your car privately to try and get more than its wholesale value. Also use your down payment and any additional cash to make up as much of the difference as you can. Be sure you understand how much your trade-in equity affects the purchase. If you find yourself “upside-down”, you can roll the negative equity into the new car purchase contract. But understand that you are financing your negative balance of your trade-in, along with the cost of the new car – you are driving one car, but paying for two. When you finance negative equity, your monthly payments and/or length of time financed will increase. Even though people finance negative equity all the time, it should be your last option because it means you may find yourself in an even worse negative equity position the next time you trade in. Many people continually roll more and more negative equity into new purchases. Eventually this catches up with them, because a bank will limit the amount of money they will lend. One option that can help is leasing. Refer back to the “Lease vs. Purchase” section for more on making the right decision. If a dealership senses that you are most interested in a big discount off the retail price, they’ll structure the purchase to accommodate that interest. If you seem more interested in your trade-in value, they will structure it to maximize your trade-in value. You may not want to involve your trade-in until after you have established the selling price of the new car. In any event, maximize the value of your trade-in and minimize the retail price of the new car, but bear in mind that the two are intimately related to one another and a dealer can move either number only so far. The important thing is to focus on the trade difference figure, which is the difference between the new car’s selling price and the allowance given for your trade-in, including any discounts. It represents the bottom line amount you will pay for the vehicle. Always look for the best bottom line. Understand both the “wholesale” and the “retail” value. When you trade your car in to a dealer, they are usually paying wholesale alue, which is the approximate value it will bring at a dealer auction. This value can vary from hundreds to perhaps thousands less than the going retail price. You may need to advertise your car. If you advertise, you will have to filter out the unwanted phone calls. You will need to schedule appointments that may result in no-shows. You will have to let strangers take your car out for test drives. You will have to let strangers take your car to their mechanic for an inspection. Also consider potential hassles with financing and timing. If someone wants to buy your car, and you still owe money on it, the buyer will need to pay you first and then wait while your bank processes your payoff before they can obtain title to your car. Not everyone will be willing to do that. You may also have to deal with the delay created if they must dispose of their own car before buying yours, or if they need a loan in order to buy your car. There is also the issue of timing, if you finally sell your car and the car you want is not sitting on the dealer’s lot. There could be a huge gap between the time you’re ready to buy and the time your new car is actually available. Be prepared for delays that can occur. Make sure the car is clean inside and out. Consider repairing highly visible damage or wear (cracked windshield, worn tires, etc.). In many instances, dealerships will do a general tune-up, inspect shocks, tires and brakes and perform the necessary safety repairs before they resell your trade. With new car prices averaging more than $30,000, most consumers require financing or a lease. A buyer can seek out their own finance arrangements, called “direct lending” where they obtain a loan directly from a finance company, bank or credit union. Some consumers also search for lenders and arrange direct lenders over the Internet. In direct lending, a buyer negotiates directly with a bank to arrange a loan to purchase a vehicle. Once a buyer and a dealership enter agree to the vehicle price, the buyer will use the loan proceeds from the buyer’s direct lender to pay for the vehicle. Finance rates are determined by the buyer’s credit worthiness. Poor credit ratings will result in a higher interest rate that the bank charges the buyer for the use of their money. Be aware that a dealer may also charge service fee for arranging financing. The dealership will obtain a copy of your credit report, which contains information about current and past credit obligations, your payment record and data from public records (for example, a bankruptcy filing obtained from court documents). It also reflects each of your credit accounts, showing your account number, the type and terms of the account, the credit limit, the most recent balance and the most recent payment. The comments section describes the current status of your account, including the creditor’s summary of past due information and any legal steps that may have been taken to collect. Dealers typically sell your contract to an assignee, such as a bank, finance company or credit union. The dealership submits your credit application to one or more of these potential assignees to determine their willingness to purchase your contract from the dealer. These finance companies or other potential assignees will usually evaluate your credit application using automated techniques such as credit scoring, where a variety of factors, like your credit history, length of employment, income and expenses may be weighted and scored. Since the bank, finance company or credit union does not deal directly with you, it bases its evaluation upon what appears on your credit report and score, the completed credit application, and the terms of the sale, such as the amount of the down payment and the trade-in equity. The dealership may be able to offer manufacturer incentives, such as reduced finance rates or cash back on certain models. You may see these specials advertised in your area. Make sure you ask your dealer if the model you are interested in has any special financing offers or rebates. Generally, these discounted rates are not negotiable, may be limited by a consumer’s credit history, and are available only for certain models, makes or model-year vehicles. When there are no special financing offers available, you can negotiate the annual percentage rate (APR) and the terms for payment with the dealership, just as you negotiate the price of the vehicle. The APR that you negotiate with the dealer is usually higher than the wholesale rate described earlier. This negotiation can occur before or after the dealership accepts and processes your credit application. Be aware that your credit history may affect the finance rate you are able to negotiate. Generally, you’ll be able to get a lower rate if you have a history of paying your monthly credit obligations on time. If your loan is not approved due to insufficient credit history or poor credit history, you may be allowed to have a co-signer sign the finance contract with you in order to make up for any deficiencies in your credit history. A co-signer assumes equal responsibility for the contract, and the account history will be reflected on both your and the co-signer’s credit reports. After a deal is agreed upon and the contract signed, the dealer may contact you and say they have discovered they will need a larger down payment or higher monthly payments. You are not required to accept these new terms, though it may result in the dealer voiding the deal. By law, the dealer has 4 working days from the time of purchase/lease (excluding weekends and holidays) to get financing approved and finalize the sale according to the terms of the contract. In order to expedite finding a lender and minimize the inconvenience to the buyer, your contract may be submitted to more than one lender. Care should be taken when proceeding with this process. If any of the contract terms change, or need to be renegotiated, then the existing contract must first be voided out and a new contract must then be drafted. The dealer must advise you of these changes and then give you the opportunity to sign the new contract. If financing is not obtained, the dealership must notify you within that 3-day period and void the contract, and must return any down payment and any trade-in vehicle you gave them. Truth in Lending Act (TILA) – TILA requires that, before you sign the agreement, creditors give you written disclosure of important terms of the credit agreement such as APR, total finance charges, monthly payment amount, payment due dates, total amount being financed, length of the credit agreement and any charges for late payment. • Charges for default or late payments. Credit Practices Rule – This rule requires creditors to provide written notice to potential co-signers about their liability if the other person fails to pay and information on late charges, and also prohibits creditors from using certain contract provisions that the government has determined to be unfair to consumers. Equal Credit Opportunity Act – prohibits discrimination related to credit because of a purchaser’s gender, race, color, marital status, religion, national origin or age, the fact that a purchaser is receiving public assistance, or because the purchaser has exercised their rights under the Consumer Credit Protection Act. “Packing” or “Loading” Automobile Payments “Packing” or “loading” are slang terms used to describe a practice sometimes found in the auto industry to get customers to agree to purchase additional products, such as credit life insurance, service contracts, chemical protectants or security devices, without revealing the true impact the additions will have on their monthly payments. The customer agrees to a purchase price and the dealer quotes a monthly payment higher than what is really needed to cover the price of the vehicle. This is a “pack” or room in the payment to add in some optional products seemingly without effect on the payment amount – the products appear to the buyer to be either heavily discounted or without cost altogether. To avoid being a victim of packing, don’t let the negotiations focus solely on the monthly payment and do the math to make sure the quoted payments and loan term add up, and aren’t actually higher than what is needed to cover the purchase price of the vehicle and products you have agreed to buy. New-vehicle warranties are a very competitive commodity. Consequently, there is a wide array of warranties available. Basic coverage for mechanical or other defects range from 12 months or 12,000 miles, whichever comes first, to 4 years or 50,000 miles. Some manufacturers also offer extended warranties on major drive train components (engine, transmission, transaxle, etc.) for up to 10 years and 100,000 miles. However, some of these drive train warranties may include a deductible (usually $100) which is paid by the owner on major repairs. In addition, service contracts and “wrap-around” warranties that cover repairs for a longer period, or those not included in manufacturer drive train warranties, may be purchased from manufacturer and warranty companies. The key to all types of warranties and service contracts is to understand exactly what they warrant. Implied Warranties – Used Vehicles Unless disclaimed, every vehicle sold in Washington by a dealer has an “implied warranty of merchantability,” which warrants that the vehicle will be fit for ordinary purposes. Generally, that means the vehicle will be of average quality among similar vehicles available in that price range. The duration and extent of coverage is based on the age, mileage and price of the vehicle, as well as the nature and timing of the problem. For more information on the Implied Warranty of Merchantability contact the Attorney General’s Consumer line at 1-800-692-5082 for information and a brochure. Vehicles can also carry an “implied warranty of fitness for a particular purpose,” which states that if the seller knows you intend to use the car for a particular purpose, and knows you are relying on them to help select a car suitable to that purpose, they warrant that the car they sell you will actually be fit for that purpose. Some states limit or prohibit the elimination of implied warranties, which means the dealership must use the “Implied Warranties Only” version of the Buyer’s Guide and check the box next to the “Implied Warranties Only” heading if a written warranty is not offered. Washington is not one of these states. “AS-IS” No Warranty –Used Vehicles Most used cars are offered by dealers “As-Is.” If done correctly, the dealer will have waived the implied warranties that would have applied. If the car breaks down, you will be responsible for all repairs. Whether its one minute or one mile from the dealership, you’ll still be responsible! As an informed buyer, consider whether negotiating away your implied warranty rights is really in your best interest. Many used cars a dealership offer no warranties at all – written or implied. The dealership must use the “As-Is” version of the Buyer’s Guide and check the box next to the heading “As Is-No Warranty on the Guide. If the manufacturer’s warranty has not expired and you do not need to pay to assume its coverage, the dealership will have a check mark in the “Warranty” box on the Buyer’s Guide and will disclose in the “systems covered/duration” section that the Manufacturer’s Warranty Still Applies. If a dealership offers an express warranty, that dealership must check the box next to the heading “Warranty” and complete that section of the Buyer’s Guide. Warranties required by state law must be disclosed in this section. Always understand what warranties will cover the car you plan on purchasing. These cars are usually 2-5 year-old former lease and fleet vehicles that go through a careful inspection process to ensure they are free of body modifications or damage, a branded title, or substandard prior repairs or delinquency in repair history. While automakers tout anywhere from a 70 to 150 point inspection process checklist, it all boils down to a similar extensive inspection and reconditioning procedure that gets performed at either the factory or a certified dealership. The manufacturer generally includes a warranty, usually one or two years in length, in addition to the vehicle’s remaining warranty — or a total of three to ten years of coverage from the car’s original in-service date. The vehicles are then resold through participating dealerships at market value pricing. Feel free to ask the dealer what “Certified Pre-Owned” means. There is nothing more exhilarating than the excitement of driving your new car off the lot. But before you do, take the time to be sure that everything meets your specifications. Inspect you car! Check the engine compartment, fluid levels, odometer, wipers, alarm system, door locks, power seats, wipers, head and brake lights. Check the trunk to be sure the spare tire has its jack and lug wrench. Be sure you receive all of your spare keys and accompanying key code, if needed. A new car should look new in every respect. Don’t leave the dealership until you feel it’s perfect. The more you get to know all of the features on your new car, the more enjoyment and pleasure you will get from it. Take the time to read your owner’s manual and supplemental booklets. It’s impossible to remember everything being presented to you about the car at the time of delivery. Excitement runs high and all you can think about is just getting on the road to enjoy your new acquisition. Before driving your new car off the lot, take a moment to meet the Service Department Manager or a Service Advisor. Ask them their recommendations for your service intervals, because the factory’s service guidelines are universally established and may not take into consideration specific driving conditions and climates in extreme locations. Make sure that all of the recommended major service intervals are maintained and performed according to the warranty guidelines and done by an authorized dealer. This should also include keeping accurate records for all oil changes, whether performed at the dealership or though an independent facility. This is crucial. If a problem occurs and you have neglected following the factory’s guidelines, a service department does have the right to reject any warranty-related claim. Washington law does not provide for a three-day cooling-off period when a vehicle when is purchased from the dealership. Barring unusual circumstances, once the sale is complete, the car is yours. Washington does have a “Lemon Law” which recognizes that new car is a major consumer purchase and that a defective new car is likely to create hardship for, or may cause injury to, the consumer. The law was enacted with the hopes that it would encourage cooperation and communication between manufacturers and dealers, ensuring that a new car will be repaired within a reasonable number of attempts, or else replaced. If the manufacturer or the dealer cannot or will not conform the new motor vehicle to the warranty by repairing or correcting defects after a reasonable number of attempts, the consumer may submit a written request to the manufacturer’s corporate, dispute resolution, zone or regional office address requesting that the car be replaced or repurchased. The manufacturer must comply within 40 days. The vehicle is out-of-service by reason of diagnosis or repair of one or more nonconformities for a cumulative total of thirty calendar days, at least fifteen of them during the period of the applicable manufacturer’s written warranty. For purposes of this subsection, the manufacturer’s written warranty shall be at least one year after the date of the original delivery to the consumer of the vehicle or the first twelve thousand miles of operation, whichever occurs first. Consumers have rights under the Lemon Law, but may also pursue their rights and remedies against under any other law, including RCW 46.70; dealers and manufacturers and 46.71 RCW; automotive repair. KEEP A COPY of all documentation you have regarding your vehicle and its history, including all repair orders, purchase contracts, warranty book and owners manual that came with your car. TAKE WRITTEN NOTES of all conversations, including phone calls and in-person conversation, you have with your dealership and repair technicians concerning your vehicle and its “lemon” potential. Include the date, time and what was discussed. ASK ABOUT Technical Service Bulletins, (TSB’s), instructions from the manufacturer that alerts dealerships of specific defects or necessary repairs in certain models. THE LEMON LAW does not apply to vehicles purchased out of state. YOU DO NOT HAVE TO BE THE ORIGINAL OWNER of the vehicle to request arbitration, but your vehicle must meet all qualifications. You must apply for arbitration within 30 months of the vehicle’s original delivery date to its first owner. Before a sale transaction can close, a dealer must furnish you with a written and signed itemization separately disclosing the finance charge, insurance costs, taxes and other charges which have been paid or are to be paid by you. This disclosure does not have to include license and title fees, because they are identified on a separate line of a standard Purchase Order. Since those fees are an estimated cost, the dealer is required to refund any overcharge that might occur, after the transaction is completed. There is also a separate identification of the $3 Lemon Law Arbitration Fee, which is collected on the sale of all new vehicles, a $2.50 dealer administrative fee and a bank title lien release fee, if one is charged by the lending institution. As noted above, the Documentary Service Fee must be disclosed in writing before the execution of a vehicle purchase and sale or lease agreement. It must be clearly itemized on the purchase or lease agreement, and may not be represented as a fee or charge required by the state. It is illegal to use fraudulent means to obtain financial information. A dealership must disclose their privacy policies and practices about information sharing between affiliated and unaffiliated third parties. Dealerships do this by presenting you with a “Privacy Notice.” If a dealership engages in sharing their information with unaffiliated third parties, their Privacy Notice will include an “opt-out” option to allow you to prevent having your information shared. For additional information regarding Consumer Protection issues, check the Attorney General’s website. A fee charged to begin a lease. Also known as an initiation fee or a bank fee if the lessor is a bank. Acquisition fees start at about $300 and are seldom considered negotiable. The bank, finance company or credit union that purchases the contract from the dealer. The vehicle cost that a lease is based upon. It includes the car and any chosen options, and may include additional charges or amounts funded by the agreement. The typical lease contract, which allows the consumer to turn in the vehicle without having to purchase it or pay for a possible difference between the vehicle’s residual value (estimated at lease inception) and the true value, determined at the end of the term. Closed-end leases usually include an option to buy the car when the lease ends. Optional insurance that pays the scheduled unpaid balance if you die, or scheduled monthly payments if you become disabled. As with most contract terms, the cost of optional credit insurance must be disclosed in writing, and, if you want it, you must agree to it and sign for it. A component of the monthly lease payment that accounts for the value the car loses during the term of the lease. Depreciation is the difference between the vehicle’s list price and the projected residual value at the end of the lease. This figure, divided by the number of months in the lease, determines one part of the monthly fee; the lease charge is another. An initial amount paid to reduce the amount financed. Optional protection for repair or replacement on specified mechanical and electrical components of the vehicle available for purchase to supplement the warranty coverage provided with the new or used vehicle. The total dollar amount you pay to use credit. The finance rate remains the same over the life of the contract. Insurance or a debt waiver product that pays the difference between the amount you owe on your vehicle and the amount you receive from your insurance company if the vehicle is stolen or destroyed before you have satisfied your credit obligation. The company that grants the lease, such as a dealer, automaker or bank. The dealer effectively sells the car to the lessor, who then “rents” it to the consumer. The maximum number of miles you can drive a leased vehicle per year without incurring a penalty, as stated in the lease contract. An allowance of 12,000 miles is typical, though the amount may be negotiable, depending on the lessor. A charge levied if the lessee exceeds the mileage allowance; typically calculated per mile. Negotiating or paying for extra miles at the beginning is almost always less expensive than the penalty for exceeding the allowance. A fractional number, such as .0042, used to calculate the lease fee. The monthly payment combines the resulting fee with the depreciation charge. The money factor is not an interest rate; it is based on a formula devised by lessors to determine their profit. Consumers should look for a lower number. While lessors are not required by law to disclose the money factor, you still can insist on knowing it before entering a lease. The dollar amount due each month to repay the credit agreement. The purchase price of the vehicle agreed upon by the buyer and the dealer. The wholesale value of the car at the end of the lease, as projected at the beginning by the lessor. Higher residual values translate to lower monthly payments but increase the cost to buy the car at the end of the lease. The amount the lessee pays at the end of a closed-end lease. If they choose to purchase the car, they would then pay the residual value. The termination fee can include administrative charges, penalties for excessive damage or mileage overruns, the dealer’s cost to prepare the car for resale and other charges, real or imagined. The lessor can apply their security deposit toward this fee at termination. The finance rate varies and the amount you must pay changes over the life of the contract.